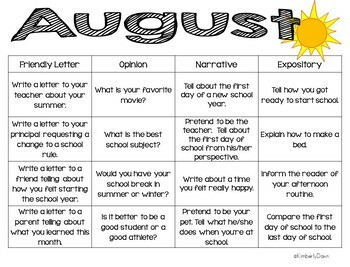 Yearly calendar that has writing prompts by type. 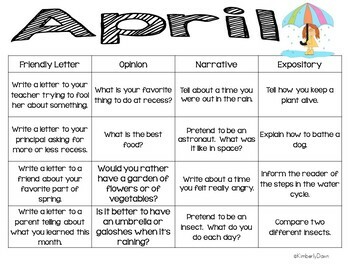 This is great to use in student spirals so students can cross off the prompt once they've completed it. It also works well at a writing center so students can practice the writing types previously introduced in your class. It can even be sent home for homework/extra credit. I hope it works as well for you as it has for me in my classroom!